The occasion that December morning in Fairfield, CA, was to demonstrate a fully networked enterprise AV solution, complete with help desk service calls responded to from three different integrators, one of which, was over 8,000 miles away in Adelaide, Australia. “I can now, using this kind of technology, deliver education to anywhere where students couldn’t have got higher education before,” Clague stated. This includes the far parts of northern California where they don’t have programs for radio technicians, as Solano does. Yet, it’s much more than distance learning opportunities that Clague aspires to achieve. One of the unique aspects of the technology solution Clague spoke so fervently about is that it is a unified partner solution, with Utelogy’s software as a service control system as the backbone, chiefly teamed in this iteration with QSC, SVSi, Cisco, and Global Caché. The solution was deployed centrally in a virtual server without a single control panel. And oh, yea, the community college happens to have saved about $40,000 from the hardware-centric alternatives initially presented. In other terms of added value, just the notion that three different integrators, in three very different locales, have the capability to serve one client is unprecedented. 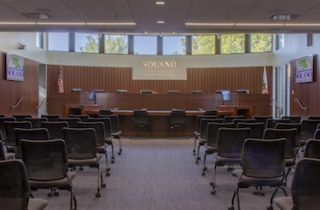 Solano has just begun to scratch the surface of the services this virtual environment is capable of supporting. Some more creative ideas being floated in the broader Utelogy sphere include remote career counseling or research library assistance, according to Kelly Weppler, Utelogy director of marketing. Ultimately, the integrators are creating value that leads to stickier relationships with their customers. This concept epitomizes the paradigm shift the traditional AV integration model is in the throes of. These factors all played into the strategy for Redding, CA-based Development Group Inc. (DGI) to verticalize. “We are not specializing on the technologies, per se. We’re specializing on educational business,” said Jason Eatmon, vice president of DGI. It’s a focus on technical deliverables that leads integrators to lose credibility on a perfectly good install because the faculty couldn’t use it right. The emphasis needs to shift to the business outcomes on the client end to succeed in this dynamic, “but part of our plan needs to be getting out of our comfort zone and actually helping [clients] figure out what is in the way to achieve that business outcome." Lindsey Adler is editor of SCN. Follow her on Twitter on @lindseymadler.